"Augmented Reality?" What exactly does that term mean? Is it like real life, only better? Well, actually, yes. Consider a busy construction or shop site. Workers are bustling around, welding, operating other equipment, etc. And in the midst of it all, workers are reading plans, manuals, and even those ever popular reports. The problem is, they're not doing it from the comfort of an armchair, feet propped up on an ottoman. The reader is most likely juggling unwieldy blueprints, shop drawings, notebooks, or files, all while talking on the phone and to to co-workers, and from noisy, unstable work areas that are often high off the ground. If this doesn't always sound like the safest on most productive of ways to examine plans or conduct on-site administrative work, it isn't. But until the arrival of the augmented reality hard hat, there were no other viable options. You know what you're asking Santa for, you say? Well, hang on. Like all new products, Daqri's has a few bugs to be worked out before this helmet is a fixture at sites and shops. The current Daqri helmet is operated with a wrist control, which can be awkward and downright dangerous in some situations. And the helmet's "vision visor" operates by sliding down over the wearer's face. If it doesn't function properly, than the wearer has no other method of taking or viewing images with this device. Daqri has experienced schedule delays in the release of this product, and at a cost of thousands of dollars per hard hat, it's not an item most firms can afford to put in the stockings of every employee this holiday season. 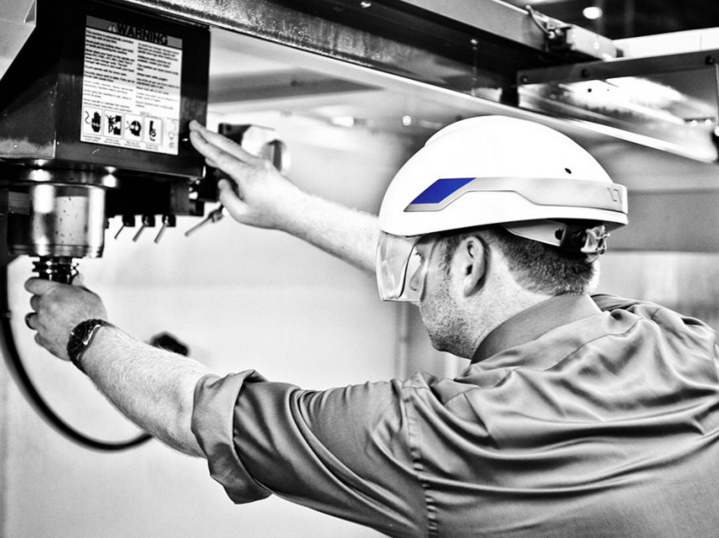 But as a tool that can help staff complete tasks, avoid hazards, and enhance site productivity, the Daqri smart helmet has real potential. If future generations of this product can be improved, managers shouldn’t be surprised to see entire project sites looking streamlined and space-age with more augmented reality in construction.